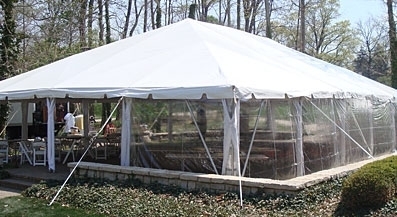 A frame tent is a light weight, free-standing framework of aluminum tubing that supports a vinyl roof without the use of interior poles. 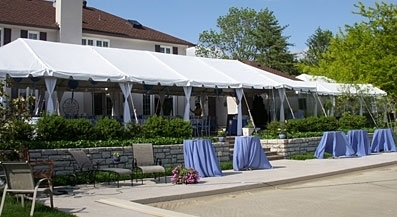 This structure can be set up on any surface: grass, concrete, asphalt, or pavers. 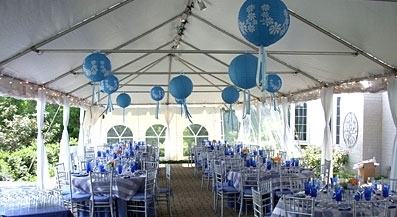 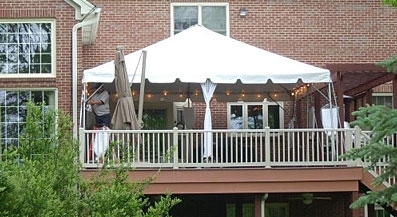 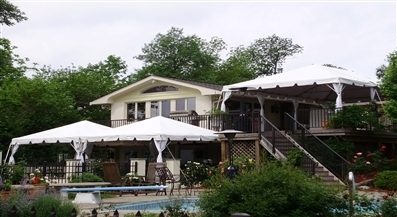 They are great for gatherings limited by confined spaces such as a backyard, over a patio, or against another structure. 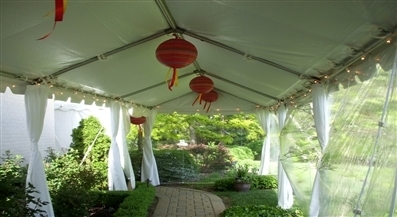 They can easily accommodate sidewalls for added protection and privacy. 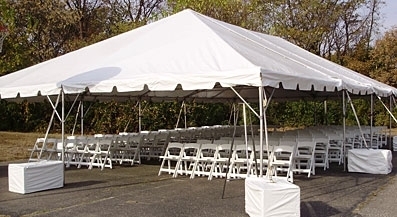 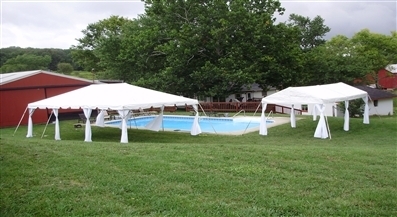 Frame tents can be secured with conventional staking, concrete anchors, or concrete ballast weights. 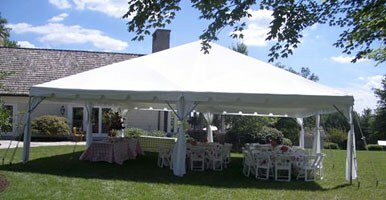 10 FT. 12 FT. 16 FT. 20 FT.